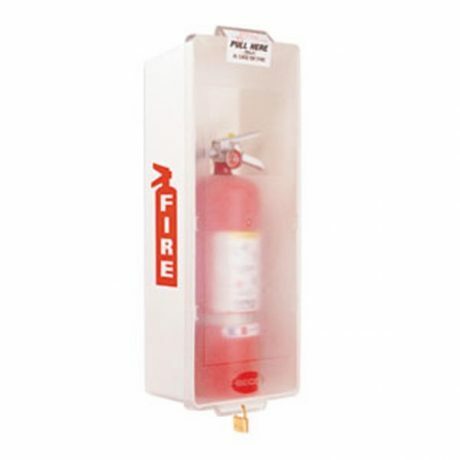 Home / Fire Safety / Fire Extinguishers / Portable Fire Extinguishers / Fire Extinguisher Accessories / Fire Extinguisher Cabinets / White Indoor Fire Extinguisher Cabinet – Mark I Jr.
White Indoor Fire Extinguisher Cabinet – Mark I Jr.
Purchase this white colored fire extinguisher cabinet with a clear plastic cover to match your building design, to comply with safety specifications, and to economically keep your workplace or other habitation safe from fire hazards. 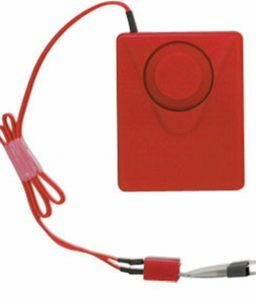 SKU: LS-MJWCBR Categories: Fire Safety, Fire Extinguisher Cabinets, Indoor Fire Extinguisher Cabinets Tags: fire extinguisher cabinet, fire safety, white fire extinguisher cabinet Brands: Brooks, Mark I. 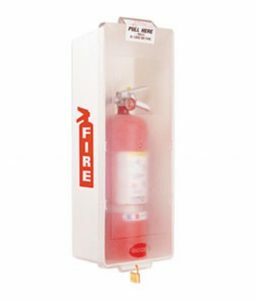 This white colored Mark I Jr. fire extinguisher cabinet from Brooks Equipment is designed for indoor storage of fire extinguishers. It has a white tub and a clear cover. 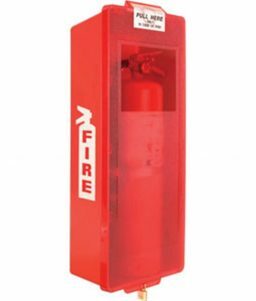 The Mark I Jr. fire extinguisher cabinet is made with injection-molded high-impact ABS material which give them superior durability over competing brands. These extinguisher cabinets make it easy to strategically keep fire extinguishers throughout a facility. These economically-priced fire extinguisher cabinets are made so that they won’t dent, rust, or corrode. 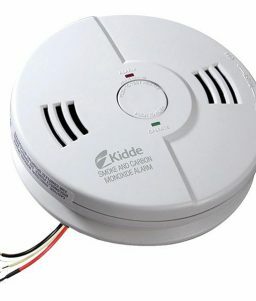 They are designed to have lots of storage space, making extinguisher placement easy and convenient. Their unique design eliminates a breaker bar and broken glass too. The Mark I Jr fire extinguisher cabinet are designed to be nested together, making it so that they require less storage space besides making them more convenient to ship. 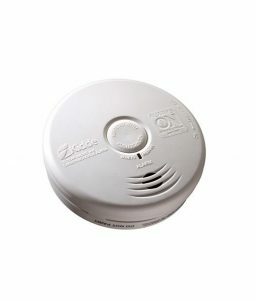 OnlineSafetyDepot.com also carries Mark I and Mark II fire extinguisher cabinets designed to hold up in both indoor and outdoor storage environments. Red Indoor/Outdoor Fire Extinguisher Cabinet - Mark I Jr. White Tub With Red Cover Indoor Fire Extinguisher Cabinet - Mark I Jr.